Sensors have played a role in manufacturing for years, but until recently they have been largely constrained by issues such as system noise, signal attenuation, and response dynamics. Today, integration of local computing power and the Internet of Things (IoT) has transformed ordinary sensors into smart sensors, enabling them to carry out complex calculations on measured data locally within a sensor module. Along with their increased capabilities, sensors have also become remarkably small (some are no larger than a pencil eraser) and extremely flexible, allowing them to be attached to difficult-to-reach and potentially dangerous equipment, turning bulky machines into high-tech intel. This fusion of sensing and signal-processing functions is redefining the sensor landscape. “Smart sensors … are microprocessor driven and include features such as communication capability and on-board diagnostics that provide information to a monitoring system and/or operator to increase operational efficiency and reduce maintenance costs." A smart sensor is also able to report oxygen levels and the heart rate of employees to make the workplace a safer place. We’ve come a long way from “The Clapper”. While motion sensors in homes and offices have been saving energy costs for years by turning on and off lights based on activity, smart sensors are a giant leap forward, giving manufacturers the ability to view and control temperatures and activity on the factory floor and in distribution centers; they can now control energy usage on a large scale. The benefits are twofold: they help manufacturers combat the increasing cost of energy use, and enable them to meet the strict energy use regulations imposed upon the manufacturing sector. Context. In order to use the data, you need to know something about the contributing factors. Time stamps, GPS coordinates, weather, and relevant machine/asset/vehicle are the most common variables which provide valuable context for the manufacturer. Relevance - How is the data being collected relate to company goals? Does it impact the bottom line, or indicate risk to customer satisfaction? Relevance is subjective, but data needs to point to a significant end result that benefits the business in some way. Communication - Data must be conveyed to another machine (typically the internet or an intranet) that can record, store, and organize data. Security surrounding the data is also critical if it is sensitive information. Analysis - Raw data is often useless; once captured, it needs to be aggregated and analyzed to recognize anomalies, or the data points which indicate that something isn’t operating properly and needs attention. Action - At last, the ROI! Some data points can trigger predetermined actions, saving both time and resources. They also ensure the proper response is initiated without human intervention. Smart sensors, especially when combined with IoT, are changing the way manufacturers collect data and communicate. They are helping to created better products, and produce them faster. 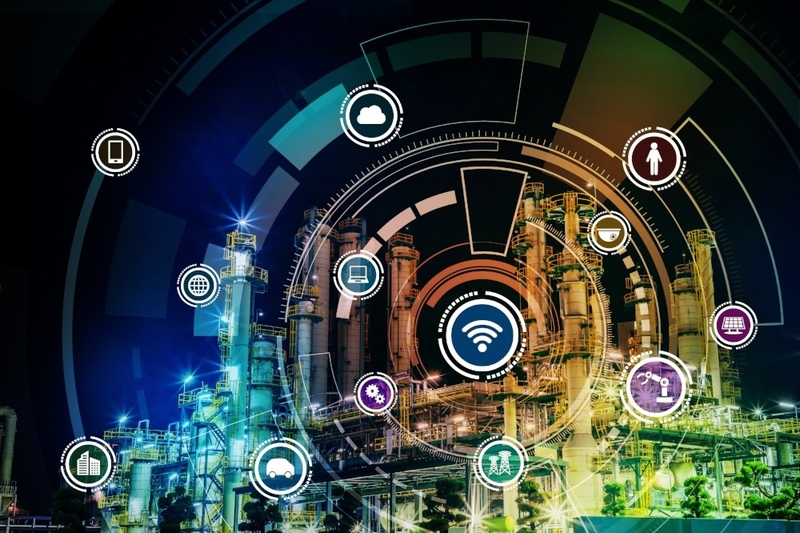 Rapid adoption of smart sensors has also resulted in falling prices (small smart sensors go for less than 50 cents) enabling manufacturers of every size to get in the game.